Checking your messages is simple! If you have messages, you will see a new envelope icon next to your name (see below for an example). Clicking that envelope will take you to your inbox where you can read and respond to message sent to you by employers. Don't see an icon? That means you haven't been sent a message yet. Make sure you upload your resume to increase your chances of being recruited. If you have new messages, you will see a purple notification next to an envelope icon indicating how many unread messages you have. Once you read those messages, that notification will disappear. How will I know if I have messages if I don't log in? We know you are busy and don't expect you to log in every day to check your messages. That's why you'll automatically get an email notification with the message contents when an employer sends you a new message when you're not logged in (example notification below). 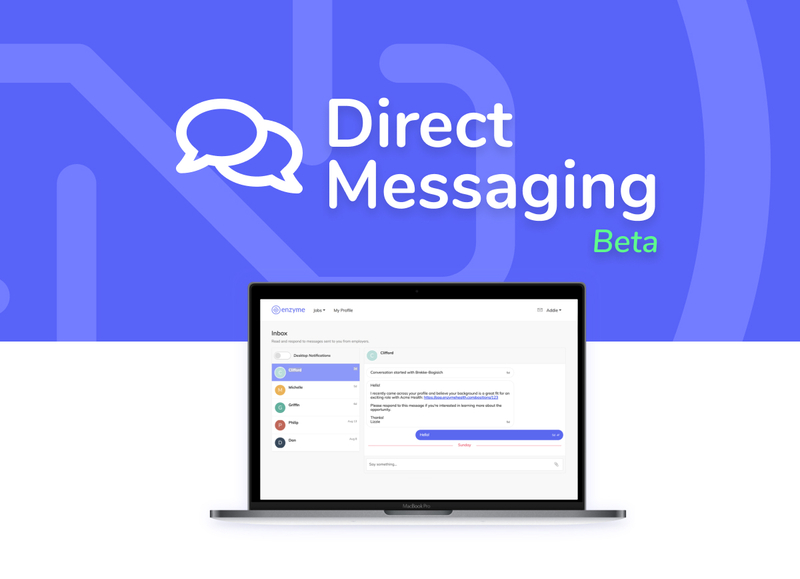 You can easily respond by replying to the email (without logging back into the app) or by clicking the link and replying within the Enzyme Platform. Can I send an employer a new message? Currently, only employers can start a conversation with you, however, you can always message employers after the conversation has begun. We're constantly listening to user-feedback to determine how our app should work and would love to hear from you should you have any suggestions or feedback! 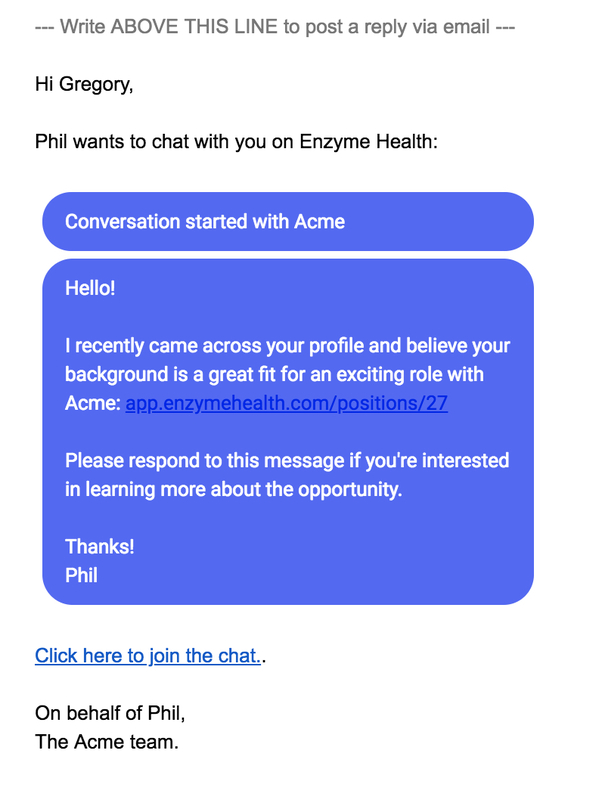 If you have any questions or want to get in touch with us for any reason, simply reply to this email or send a note to support@enzymehealth.com and we'd be happy to help!